A man who tried to buy deadly ricin poison from the Dark Web after being inspired by the TV series Breaking Bad has been jailed for eight years. Mohammed Ali, 31, was convicted at the Old Bailey of attempting to possess a chemical weapon following a trial in July. The trial heard the father-of-two was sent harmless powder hidden inside a toy car. After opening the package, which had been treated with a marker substance, he was arrested at his home the following morning. 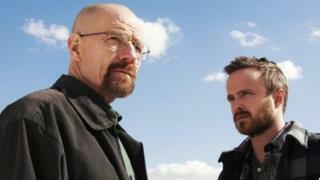 The court heard Ali, of Prescot Road, a computer programmer, first heard about ricin after watching the US crime drama Breaking Bad. He told jurors he was just "curious" and wanted to test the boundaries of the Dark Web, and was unaware ricin was illegal. "I was interested in the Dark Web and ricin. I just wanted to know what the fuss was about," he said. The court heard he approached the undercover agent in January with a private message, saying: "Hi, would you be able to make me some ricin and send it to the UK?" In a series of encrypted chats, they discussed the price of a lethal dose, discounts for bulk orders and ricin's "shelf life", jurors were told. At one point, Ali asked: "How do I test this ricin?" and received the instruction: "You must test it on a rodent." Records showed that on February 4 - days before the delivery - he made a payment in Bitcoins, the online currency. Around this time, Ali had made a to-do list on his computer which included the entries "paid ricin guy" and "get pet to murder", the court heard. He had also made a series of internet searches for chinchillas, animal rescue centres, rabbits and "pocket-sized pets". The judge, Mr Justice Saunders, said Ali's actions created a "real risk". He said: "Everyone needs to know that the possession of a chemical weapon is extremely serious and long prison sentences will follow. "I am afraid that because of the need for a deterrent sentence, the sentence will appear harsh to the defendant and his family." Under ultraviolet light, his face lit up, showing he had handled the package. The judge continued: "I am satisfied that Mohammed Ali had no intention of disposing of ricin immediately. He intended to keep it. "That created a real risk that, at some stage in the future, he might decide to experiment with it or it fall into the wrong hands." Ali, who was diagnosed with mild Asperger's or autistic traits, stood impassively in the dock as the judge told him that possession of a chemical weapon was "much more serious than possessing a firearm". A woman in the public gallery, believed to be a family member, cried loudly as he was sent down. Mitigating, Joel Bennathan QC, said: "Mr Ali has a large supportive family who care for him. "They are distraught and appalled by the mess he has got into." The police operation to arrest Ali was coordinated by Merseyside Police and the North West Counter Terrorism Unit (NWCTU). After the sentencing, Det Ch Supt Tony Mole, of the NWCTU, said: "Ali attempted to buy a deadly poison and we can only speculate on what he planned to use it for, but in any case such as this, we take swift and decisive action.